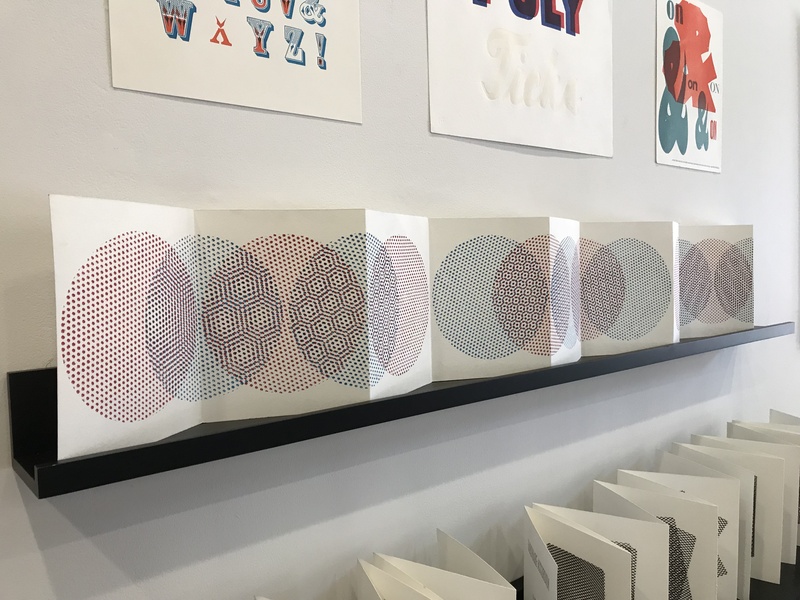 The Gallery Photo Book Works in Beacon NY is currently featuring the exhibition “Purgatory Pie Press: 40 Years & Counting” to commemorate Dikko Faust’s and Esther K Smith’s long and fruitful history of art making and collaborations. 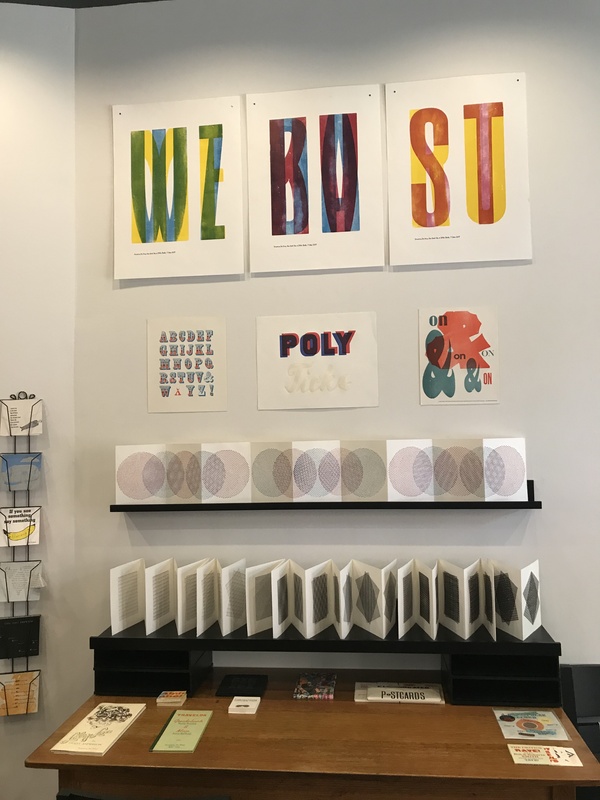 They have worked with many artists to create limited edition letter press artist’s books, postcards, and prints. (I have worked with them for over twenty years). Here is a gallery view. The accordion books on display are the work of Dikko Faust the founder and the printer at the press. In the past few years he has developed a series of work based on abstract geometric forms that have a lot of mathematical context. I have written about a number of his processes in past blog posts. This is Dikko’s newest edition it is comprised of circles that are made up of a dot grid. When the red and blue circles overlap interference patterns emerge.